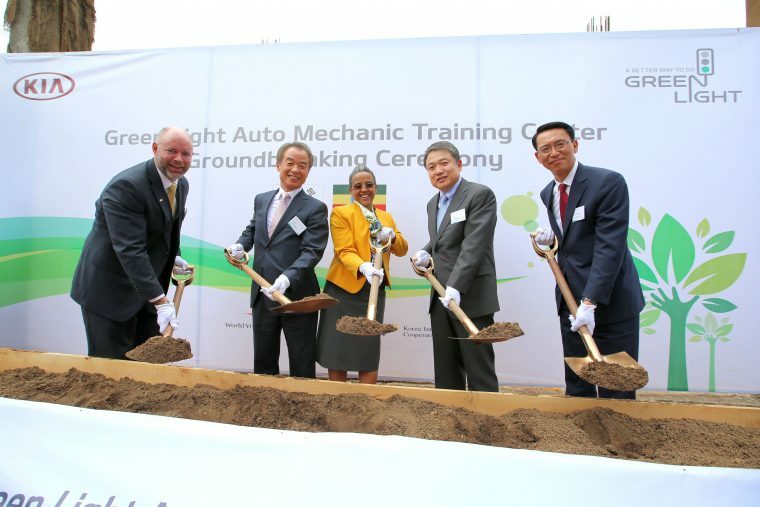 Kia broke ground on two new community-run auto mechanic training centers in Africa last week. Through the South Korean carmaker’s ongoing global corporate social responsibility (CSR) program, which is called the Green Light Project, citizens of Ethiopia and Kenya will soon have access to training that wasn’t previously offered. Construction on these two new facilities is expected to be completed in the first half of 2017. The centers are situated in the Lideta district of Addis Ababa, Ethiopia’s capital, and in the Dandora suburb of Nairobi, which is the capital of Kenya. The centers will be operated by World Vision and Good Neighbors respectively. Each of these projects are supported by a $4 million investment by Kia Motors and the Korea International Cooperation Agency (KOICA). This isn’t the first time Kia has helped support communities in Africa. Since 2012, Kia has helped people receive better access to health, education, and employment through the Green Light project. Five schools and a health center have flourished in Tanzania, Malawi, Mozambique, Kenya, and Ethiopia. The newest endeavors taken on by the Green Light Project will bring the number of locations to eight.